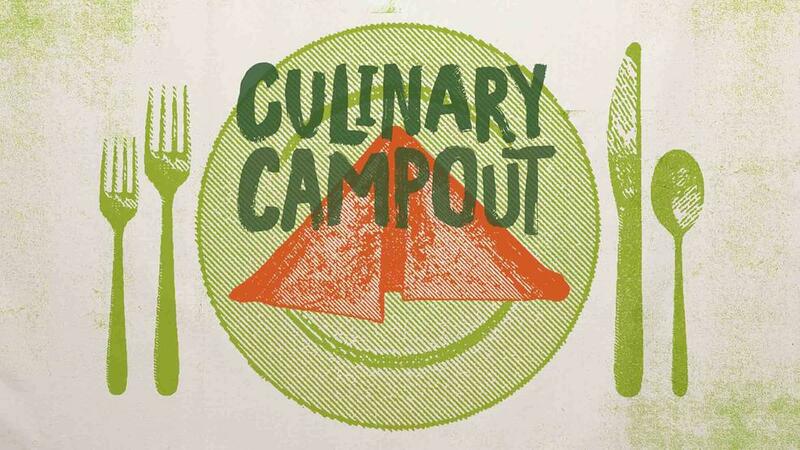 When it comes to camping, you probably don’t imagine feasting on award-winning cuisine. You’re probably cooking frank-n-beans over a fire, or worse chowing down on some dry trail mix. But this weekend, the chefs from Compass Rose want to take you outdoors for a culinary cookout of epic proportions. Chefs Christopher Morgan and Gerald Addison, with the Compass Rose team, are cooking up a feast for a few lucky campers. And this outdoor experience is one of the only sneak previews you’ll get before the opening of their latest restaurant, Maydan coming soon to the Manhattan Laundry Building near U Street. Campers need only to BYOT (bring your own tent). And rest assured, the campfire cooking (and drink making) will be left to the professionals. Lunch will be prepared by Cava, happy hour drinks will be served by One Eight Distilling and Atlas Brew Works, and an open-fire dinner, influenced by the regional cuisines of Eastern Europe, Northern Africa, and the Mideast, will be made by Chefs Morgan and Addison. For the newbie camper, there’s an orientation session to get the lowdown on outdoor essentials. The overnight camping trip, which takes place on Saturday, September 2, is sponsored by REI’s Outdoor School. The experience includes classes on paddle boarding, kayaking, mountain biking, and hiking essentials. Because Patuxent River Park is also one of the closest and quietest campsites to the District. Maryland designated it as a scenic state river, and it remains a popular place for stargazing and bonding with Mother Nature. It’s not all about the food either. If weekend workouts are your thing, DC’s very own November Project will be leading an outdoor workout session that’s sure to get your heart pumping. Campsites are still available for this weekend, and registration includes perks, like a rise-n-shine yoga session, followed by a send-off breakfast. So if you’re procrastinating on your Labor Day planning, look no further than this camping and culinary adventure, just one hour south and east of the urban grind.